If you’ve booked a hypnotherapy session or are thinking about making an appointment, you may be having mixed feelings. But congrats are in order for taking the first step! 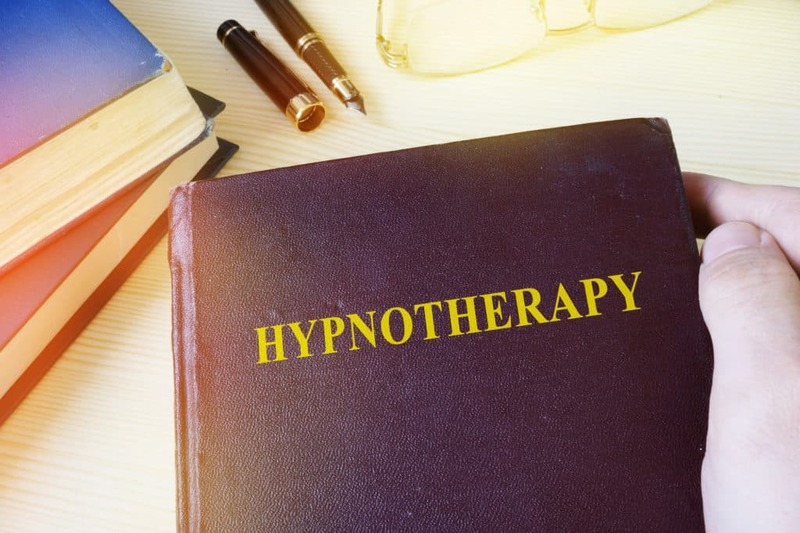 Over the years, our ideas of hypnosis have changed as research emerges that there are benefits of hypnotherapy and hypnosis. Today, hypnosis uses include as a medical treatment and to treat addictions. But you still have questions about what you can expect at your session. You’ve come to the right place! We’re going to walk you through everything you need to know about your first session. The first question you may have is “What is hypnotherapy?” Hypnosis and hypnotherapy are often confused even though they go hand in hand. Depending on where you look, you will find different definitions. In simple terms, hypnosis is being guided into a trance state where someone is receptive to suggestion. Hypnotherapy is a form of psychotherapy that uses hypnosis. A clinical hypnotherapist guides the hypnotherapy session. At times, a medical doctor or psychologist use hypnosis to help a patient stop smoking or another addiction. In those instances, they’re practicing hypnotherapy. Many clinicians will say the success rate is up to you. If you walk into your session with an open mind and a yearning to experience the benefits hypnotherapy offers, then you will have a higher success rate. There is a 90.6% success rate for hypnosis-based smoking cessation. The smoker wanted to quit and had an open mind, so the technique worked in an overwhelming number of cases. If you are only going to your hypnotherapy session because a spouse/partner is “making you,” well, it may not be successful for you. It can be used as suggestion therapy or for patient analysis. Your hypnotherapist will likely give you some tips about what to expect. He or she may even go over some of the things they’ll want you to do to prepare. Make sure you listen to their suggestions! Most clinical hypnotherapists agree that you are in control. Not the hypnotist. Not the therapist. You, the client. You will start your session by sharing what you want to do. Your hypnotherapist will ask you questions and observe you while you give the answers. You need to be honest with your hypnotherapist about your fears and what led you to be there in the first place. They need to know what they’re trying to help before the hypnosis can begin. Some hypnotherapists may explain what happens to your brain in hypnosis. They may ask your boundaries. They will explain suggestibility and assess your suggestibility. The induction is the relaxation part of the process that leads to hypnosis. You will be aware of everything around you and will hear everything the hypnotherapist is saying. What they use in the induction depends on the details and answers you gave in the introduction. The hypnotherapist will use techniques that are safe but may entail many different types of language. They’re trying to find what works best for you, so it may take a few minutes. The induction can happen fast or take up to 20 minutes. There are no cookie cutter hypnotherapy sessions! Everyone is unique to the client. After the induction is complete, the therapist will ask a series of questions to determine the state of hypnosis you’re in. During the actual therapeutical session, the work takes place. Led by your answers and responses you gave in the beginning, your hypnotherapist will begin with the changes you want to make. The language used will be specific to the change you described. You won’t want to run around the block without clothes on. You won’t have an urge to rob a bank. If you are seeking help to quit smoking, you won’t become a vegan when the session is over. Those myths are some of the misconceptions people have about hypnosis. The truth is, your hypnotherapist is a caring individual who is guiding you through your specific change process in your subconscious mind. With your permission only, some hypnotherapists will give you a post-hypnotic suggestion (PHS) that is a trigger that specifies an action after you leave. PHS is a benefit to you for when your session ends or to use between sessions. Again, it won’t trigger you into robbing a bank or giving up animal products (unless that’s what you want it to do). When your hypnotherapist feels you explored your subconscious mind and completed your change work, they will start to bring you out of the trance. It will be a gentle and slow process. You won’t “snap awake” like you see in movies. They will be watching you closely to make sure you are coming out of the trance without any issue. Don’t worry, the issues that hypnotherapists encounter is that their clients are so relaxed in a pleasant state they don’t want to come back! If this happens to you, they will gently help you with your process until you are fully out of the trance. They will assess your mood and ask you some more questions. You will feel relaxed and the change work you did will start to manifest. Your therapist may suggest you schedule another session or provide you with more tools to use at home. They will explain what they did and the techniques they used so you feel safe and comfortable. You will get an MP3 recording of the session within 24 hours to listen to afterwards. It’s important to do any post-session work that they ask you to do or schedule another session if you aren’t confident your hypnotherapy went the way you liked. Feel free to try another hypnotherapist as well. Remember, you’re in control. Now that you know what to expect in your hypnotherapy session, the “Incredible Hypnotist” Richard Barker invites you to learn more! Barker is a world-renowned hypnotist who has spent two decades entertaining people all over the world. He’s written two books and has performed his comedy hypnosis act on dozens of TV programs. But Richard’s goal is to help people. Schedule your private hypnosis session or book a seminar with Richard today. If you’d like to know more about how hypnotherapy works or if you’re interested in becoming a hypnotist, visit Richard’s blog which has many helpful articles to get you started. HERE IS AN EXCELLENT VIDEO EXPLAINING THE PROCESS.